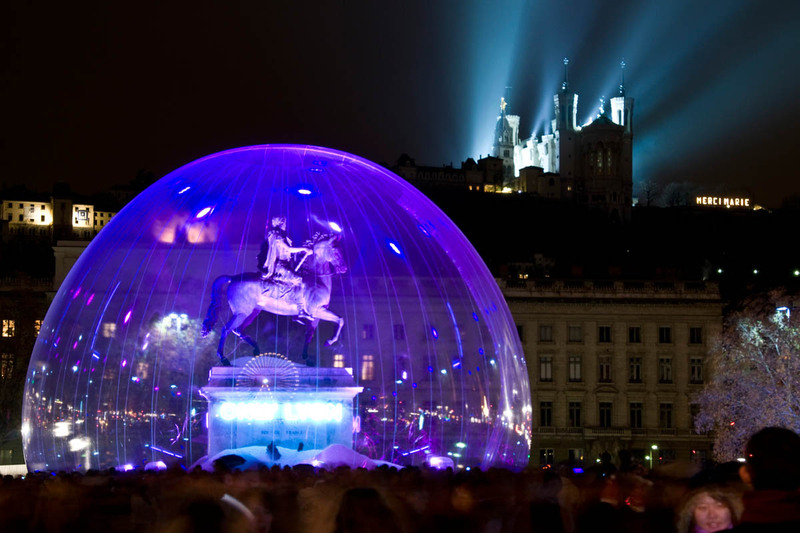 Lyon, the French City of Light - French Truly | Helping you become a little bit French! 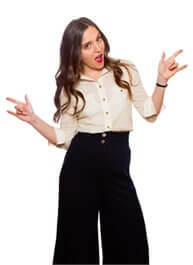 This week, you won’t see me on the video but I assure you, you won’t mind! The video I chose for you instead lasts 5 minutes and C’EST MAGIQUE! 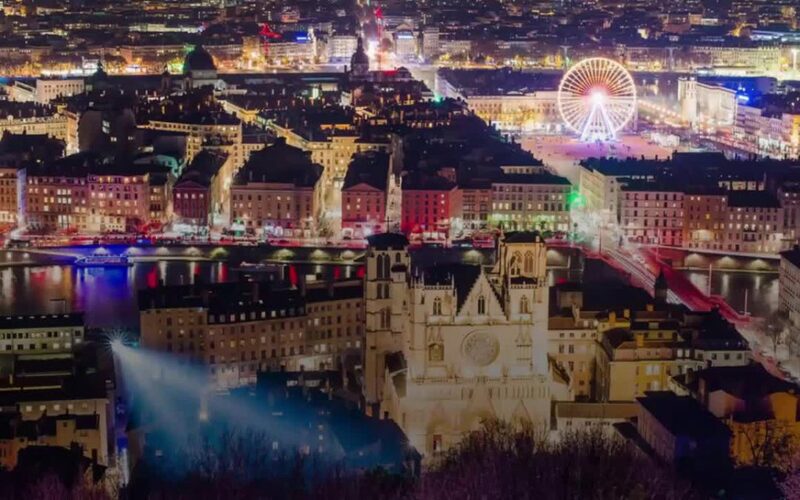 Before you watch the amazing video below, let me remind you that Lyon is the 3rd biggest city in France, that it’s the home of the Beaujolais wine, it’s where the cinema was invented, it’s the capital of gastronomy & silk, and it’s the 2nd biggest center for the Renaissance, after Florence. 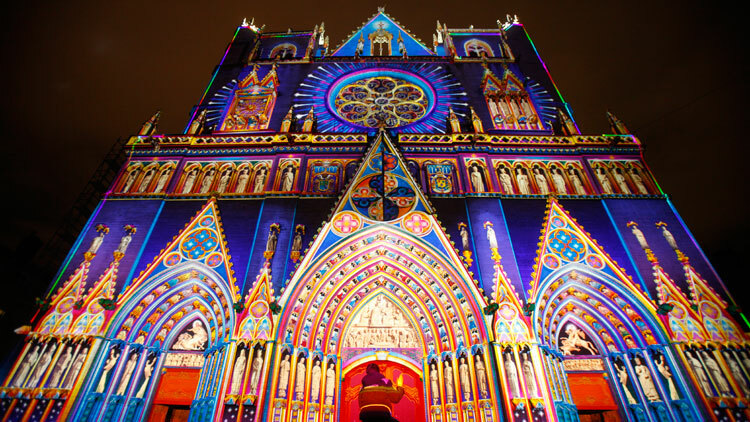 Now please watch the video and below I will explain why and how this whole magic began, several centuries ago… The “Festival des Lumières” is the 4th most attended event worldwide after the Kumbh Mela in India, the carnival in Rio, and the Oktoberfest in Munich. Now exactly what is at the origin of such an event? 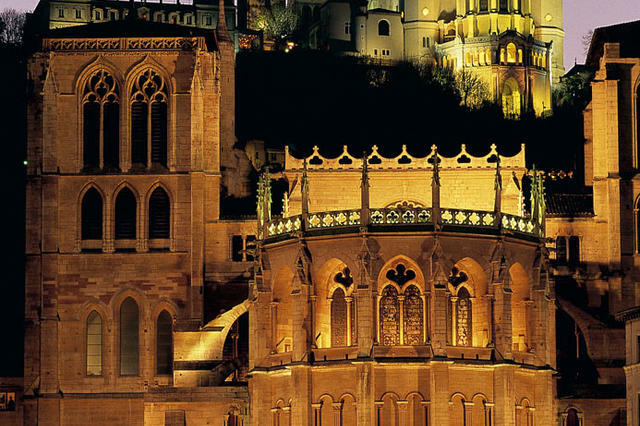 Once upon a time, around the 12th century, there was a French city called Lyon filled with people who enjoyed a special relationship with la Vierge Marie, the virgin Mary. The Lyonnais believed the la Vierge Marie was watching over them and could protect them from the hardest moments of life. 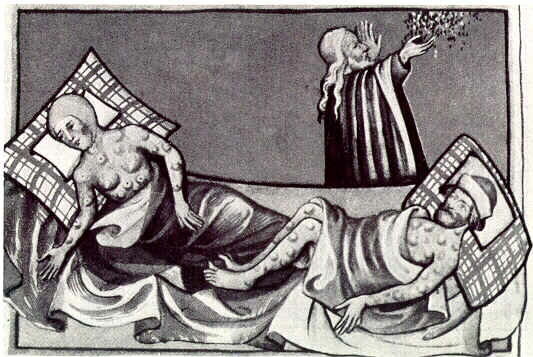 So it’s only natural that when a devastating plague hit the south of France in 1643, the Lyonnais turned to Marie and begged her to stop the massacre. They promised her that if she accepted to help, they would honor her with a beautiful present. So when la peste, the plague, miraculously vanished, the Lyonnais organized a procession walking from la Cathédrale Saint Jean (foreground) to la Basilique Notre Dame de Fourvière (background). And every September 8th, every year, they would renew the thank you Mary festivities. Two centuries later, in 1852, the Lyonnais built Marie a golden statue. September 8th was logically going to be the inauguration date but, the rain decided otherwise. However, we didn’t want to pick any old date to replace September 8th. We wanted a meaningful date. That’s when December 8th was chosen. Pourquoi? 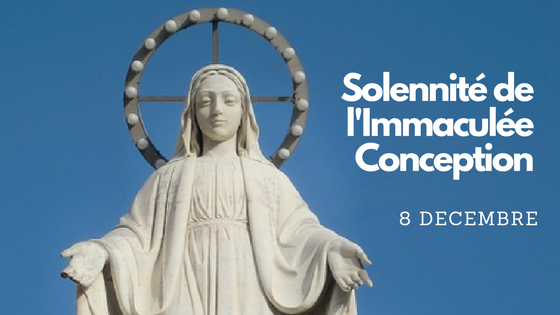 Parce que, it is the day Catholics celebrate the Immaculée Conception. The festivities have grown drastically since I was a little girl in France. 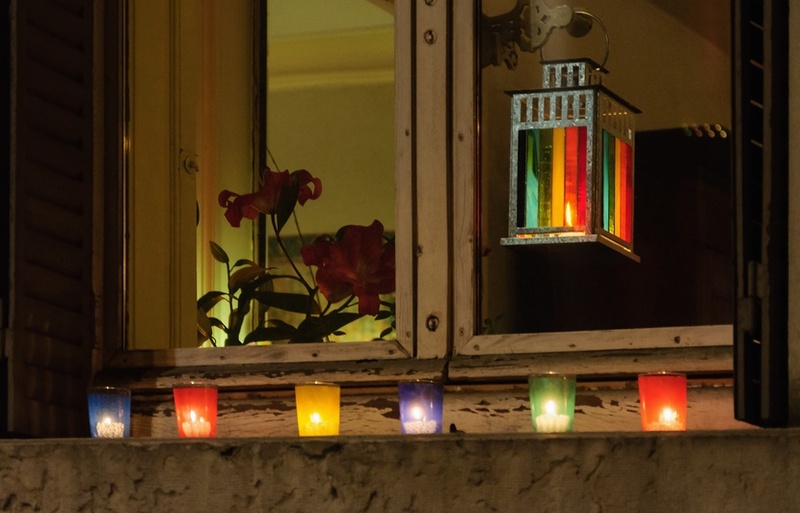 In those days, we bought some lumignons, short colored glasses, we also bought some tea lights to go inside the lampions to then position them outside all our windows. The result is shining blue, green, yellow, and red glasses outside every single window of every single house so from the outside it looks so pretty not to mention completely whimsical. Now remember this is only done in Lyon and its suburbs. Nowhere else in France. Today, the same festivities happen! With a major addition. Let’s just say we got a little more fancy with our lights! It is something that is so beautiful, so original, so different, so extravagant, so funny, that it is difficult for me to explain with words. Which is why I have added the official 8 décembre video from the city above so you can just see. 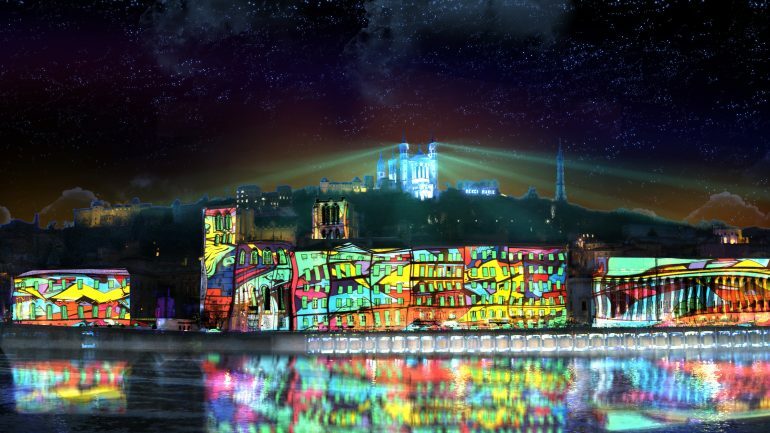 Get ready for a multicolored giant breathing moving operation all over Lyon. Millions of people come to see it so you’d better watch that video, and then tell us what you think in the comments!